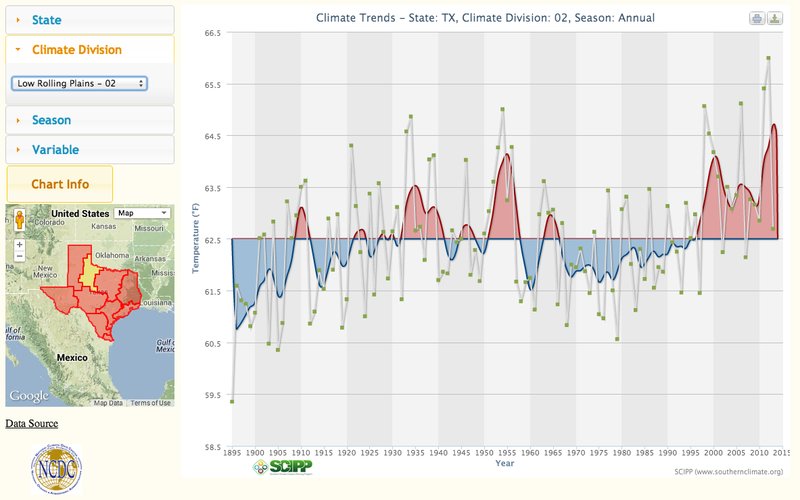 The data tools on this page were created in partnership with the NOAA Southern Regional Climate Center (SRCC). 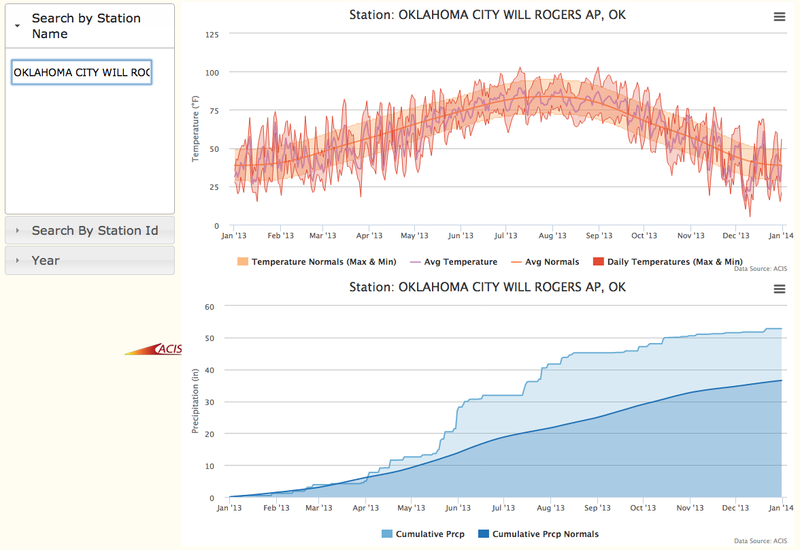 The tools are developed at SCIPP, then operationalized at SRCC. If you notice a problem, please contact SRCC. 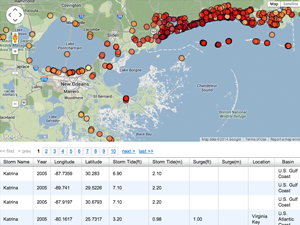 SURGEDAT archives historical storm surge data. In fact, SURGEDAT is the world’s most comprehensive storm surge database, with more than 560 global peak storm surges since 1880. More than 300 of these events occurred in the United States. The SURGEDAT website hosts three different storm surge tools: The Global Peak Surge Map, Historical Surge/ Hurricane Maps, and Interactive Surge Maps. 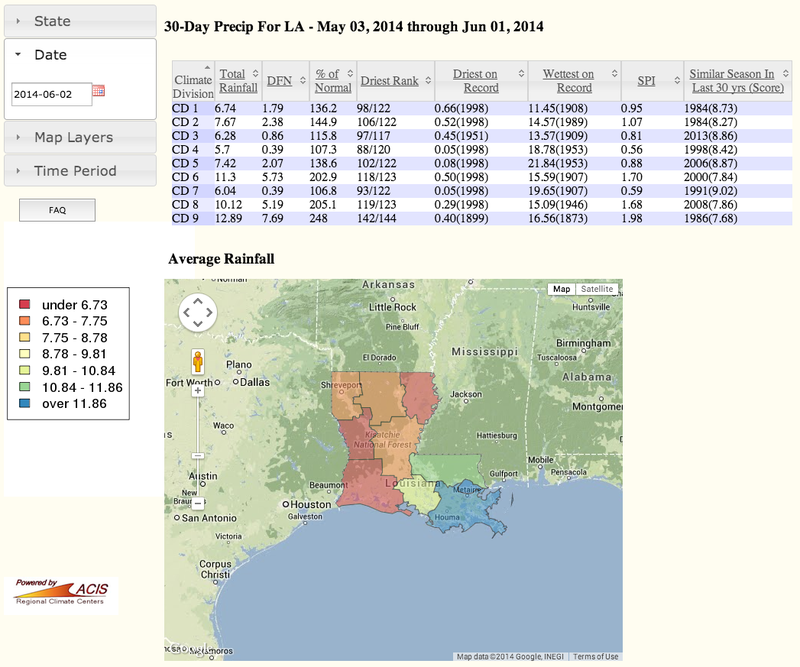 Each tool is slightly different in the functionality and geographic area of coverage. 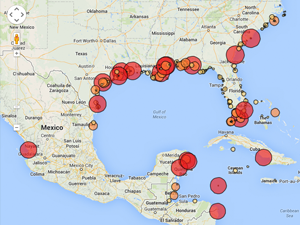 This tool provides an interactive global peak storm surge map. 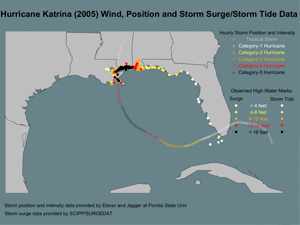 Circles on this map represent unique storm surge events. Larger, darker circles represent higher magnitude events. When users click on a surge observation, a pop-up box indicates the storm name and year, as well as the location and height of peak storm surge. This tool provides maps that plot the location and height of historical storm surge and storm tide observations, as well as the track and intensity of the hurricane that generated the high-water marks. Maps are provided for 20 events, including the top 10 magnitude storm surges that impacted each of the U.S. Gulf and Atlantic Coasts. This tool enables users to map all storm surge observations for hurricanes and tropical storms that have impacted the U.S. Atlantic and Gulf Coasts. 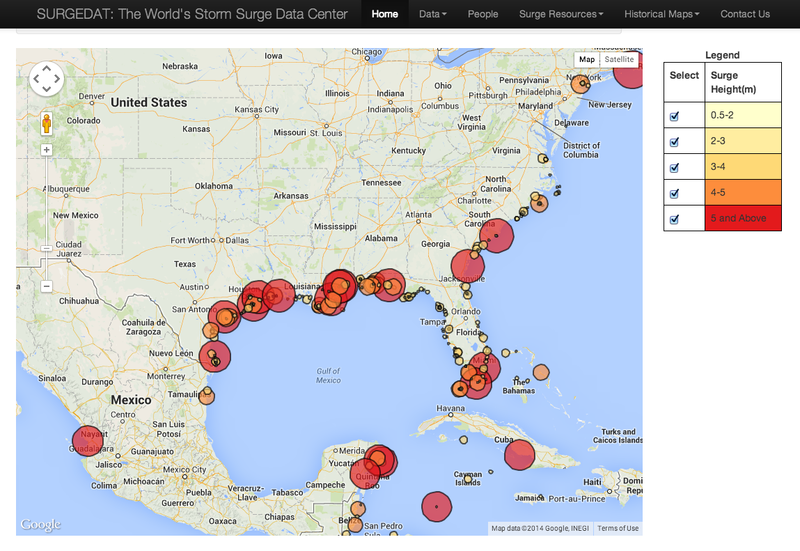 A map of storm surge observations is plotted when users select the name and year of a storm. This tool also provides an interactive map that lists information related to the location of an observation, the storm surge and/or storm tide height, as well as the datum and type of observation. 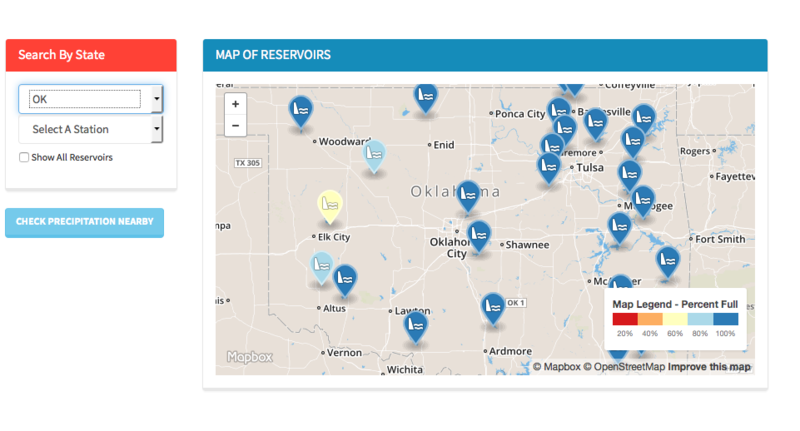 This tool displays water data for reservoirs located in Texas, Oklahoma and Louisiana. Information provided includes a reservoir cross-section plot that highlights current elevation, dead-pool elevation, and conservation pool elevation, a summary of physical reservoir information, a time-series of reservoir levels, elevation-area-capacity curves for each reservoir, and precipitation data. Reservoir data sources include the Texas Water Development Board, USGS, and US Army Corps of Engineers. This tool is a compilation of easy-to-use online interactive tools, maps, and graphs relevant to 13 hazards: 10 climate hazards and 3 non-climate hazards. Users can access and obtain locally relevant data from the provided links and instructions. The tool also contains information on data limitations and a state-of-the-science summary on projected future trends for each hazard. Finally, appendices include hazard definitions, historical FEMA/presidential disaster declaration information, climate change resources, and incentive and action programs for hazard risk reduction. This tool is a compilation of easy-to-use online interactive tools,maps, and graphs relevant to 13 hazards: 10 climate hazards and 3 non-climate hazards. Users can access and obtain locally relevant data from the provided links and instructions. The tool also contains information on data limitations and a state-of-the-science summary on projected future trends for each hazard.